The Corps of Cadets isn't just the oldest student organization on campus — it's also one of the most visible. 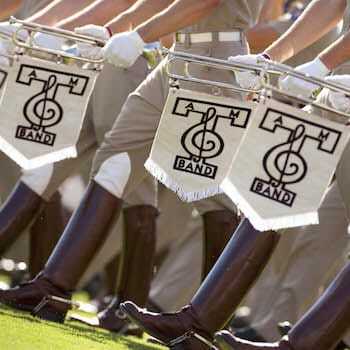 Learn more about the different units of the Corps, including the Ross Volunteers and the nationally famous Fightin' Texas Aggie Band. 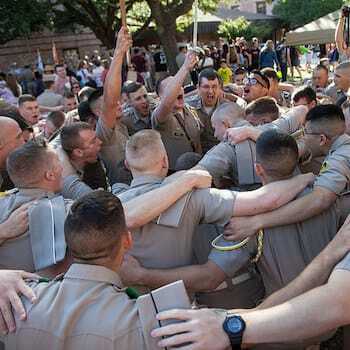 Before the Corps of Cadets dismisses for the summer, the entire unit participates in Final Review, a full military review in the heart of campus. 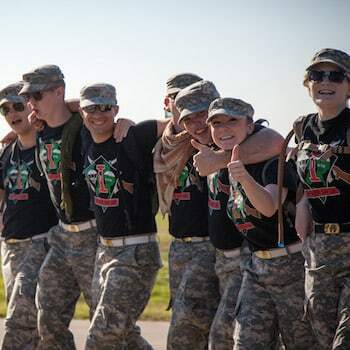 Each spring, the Corps of Cadets conduct an 18 mile round-trip road march from campus to the Brazos River to raise money for the March of Dimes.